What a week. The fourth week straight that Sam has been away (and following the birthday marathon) was a bit tiring to say the least. Monday afternoon took us to the Emergency Department. Arthur was suffering respiratory distress again. Bless Gandy Bear who met us at emergency and took the big kids for a sleep over. I had enough time to pack their school bags before we left - including George's swimming bag as the preppies swam every day this week. Grandpa J-Bear also was fantastic dropping the kids at school and picking them up! He even picked up a few things from the shop for me and made me a cuppa when I got home. 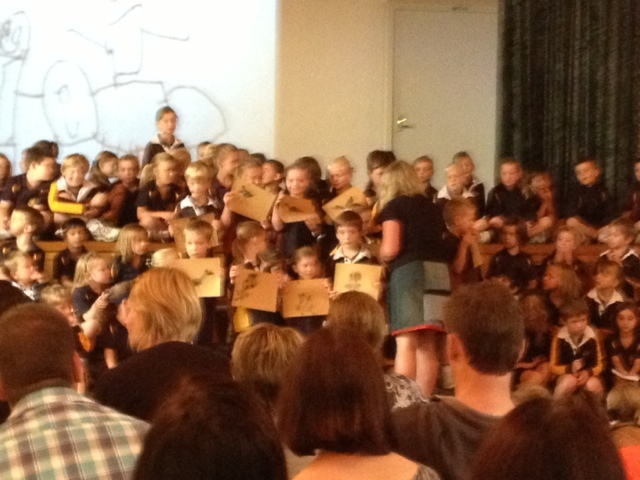 Off went the big kids. In went mummy and Arthur. Thankfully he wasn't as bad as last time and the lovely Erica was on duty and she even had time to make me a cuppa. Bless!! Anyway, this time they treated him with ventolin. LOTS of ventolin. The lovely Susy dropping in with some dinner for me and stayed for ages to help me wrangle a kid who thought it was cancan night at the local. Check out this pic of the little cherub. 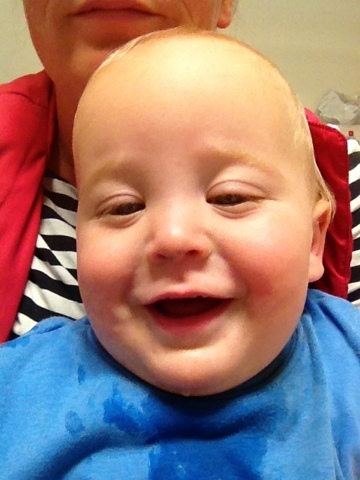 Taken at midnight( we were still in emergency) he was on a complete ventolin high. Finally we got to bed in the ward at about 1 am. Thankfully we were allowed on day leave the next day. Even better the lovely Mrs G called that night to see how Arthur was and to see if Ingrid would like to go for an extra day (would she ever) so I could have a rest. Woo Hoo. 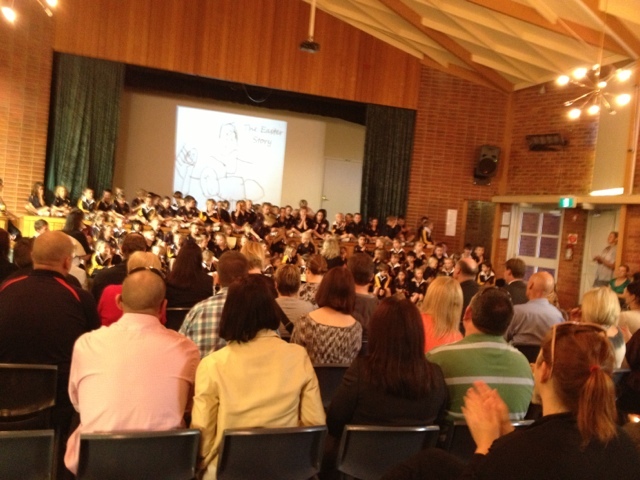 Also on Wednesday was the Prep/Grade 1 Easter Assembly. Sooooo beautiful. They put on a great show for the new school principal who was watching on his 3rd day on the job!! George sang beautifully and is was really very lovely. Please excuse the fuzzy pics, Arthur was still cancaning while I was trying to take footage. Happy Easter.